Heart Shrine Relic Tour, Fellingsbro, Sweden, August 3-5, 2007. Photo by Andy Melnic. 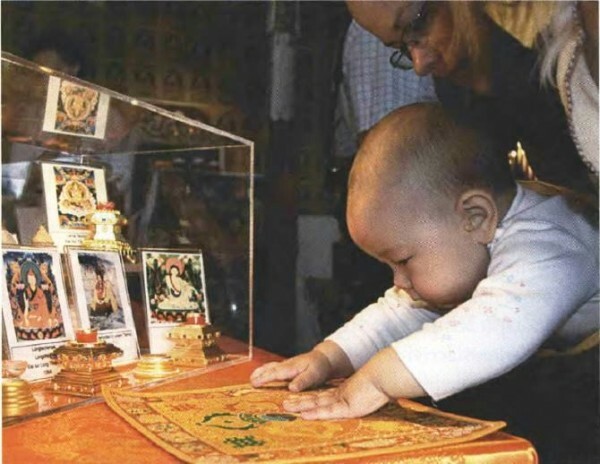 As the Relic Tour enters its seventh year of bringing blessings and Rinpoche’s message of loving-kindness to people all around the world, there seems to be no end in sight. During 2007, the holy relics were displayed almost every weekend in cities throughout Mexico, Colombia, the Caribbean, Argentina, Chile, Uruguay, USA, Canada, France, Slovakia, Austria, Switzerland, Denmark, Sweden, Norway, Finland, Russia, Latvia, Germany, England, and Lithuania. Many temples and centers ask for the holy relics to return again and again because of the inspiration they bring. Those who have already seen the relics once want to experience the blessings again, and they want their family and friends to share in that experience. During events, visitors frequently become emotionally overwhelmed by being in the presence of the holy relics. Some people seem to be in a daze or an altered state. Rinpoche has addressed this by offering visitors some very practical methods for creating good karma in the presence of the holy relics. So now, visitors may offer water to bathe the Buddha while reciting a prayer of purification and visualizing their surroundings as pure. They can choose to write a few lines of the Sanghata Sutra in gold ink. Or they can read some pages of the Sutra of Golden Light.